Travel Guide of Crete providing information Why Go Crete which places are the Best of Crete, the endless Cretan History, the beautiful Cretan Beaches, the delicious Cretan Cousine , forms of Alternative Tourism Crete. Moreover visitor can find suggestions about Excursions Crete ways of Transportations and Car Hire Crete at all prefectures Heraklion, Rethymno, Chania and Agios Nikolaos. Crete has the full package..! Daskalogiannis airport at Chania. Chania airport is much smaller and far less busy than Heraklion airport. 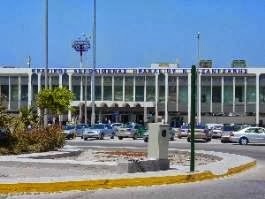 Located on the Northwestern part of the island and the airport is also known as the K. Daskalogiannis Airport. There are daily flights from Athens airport by OlympicAir, Aegean Airlines and Athens Airways (Which take about 45min.) to Heraklion and Chania. Sky Express operates flights from Athens airport to Sitia. During the months of July and August Astra Airlines flies from Thessaloniki to Heraklion and Chania. From April till early November charter airlines fly directly to [Heraklion] and [Chania] from many European airports. Flights going from Heraklion and Chania to Thessolaniki take about 90 minutes. 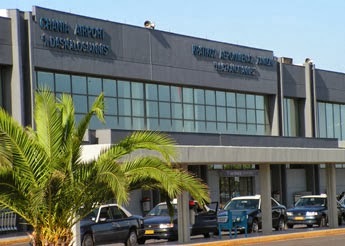 The airport at Heraklion also has daily flights to Rhodes which takes 1 hr. There are daily flights between Athens and Heraklion. Ferry services from Piraeus to Heraklion, Rethimno and Chania and from Thessaloniki and the Cyclades to Heraklion. Crete has many ferry connections for example: You can go from Pireaus to Heraklion with Minoan Lines, to Chania with ANEK Lines or Hellenic Seaways, to Agios Nikolaos and Sitia with LANE Lines. LANE also operates routes from Agios Nikolaos / Sitia to Rhodes and other Greek islands. In the summer, there are daily catamarans (hydrofoils) from Heraklion to Santorini. The trip takes about 2.5 hours. Hellenic Seaways and SeaJets offer these sailings. You can also go to Crete by ferry from the Peloponnese (Gytheio) and Kithira island. This ferry lands on the west part of Crete, in Kissamos port. Full of astonishing landscapes and continuously changing natural pattern the discovery of the Cretan land “Krissa Gi” among the four seasons gets never boring. Guests have the opportunity to experience the nature, history and cultural richness of the island, while they can enjoy the high quality tourism services. In the present text we will try to present reassons why Crete and rent a car Crete is the ideal destination sollution. Go Rent a Car Crete. Picture Window theme. Powered by Blogger.